There is no single metric more directly related to a Fab's profitability than cycle time. Understanding the factors influencing cycle time and its variation is an effort that pays for itself. 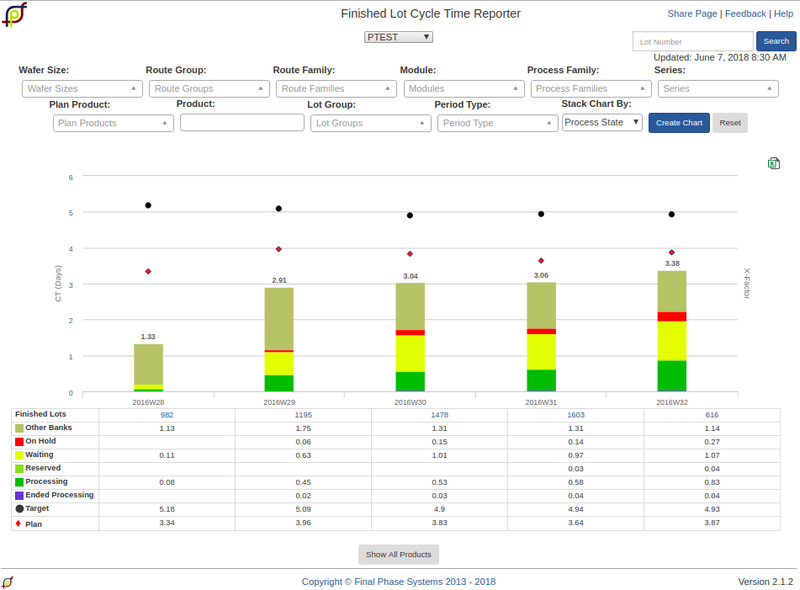 Our cycle time analysis products are designed to highlight these factors and causes. We provide a full breakdown of cycle time into its components - efficient production, waiting, on hold, in transit, etc. High-level summaries allow you to see the big picture and drill down to see the details.